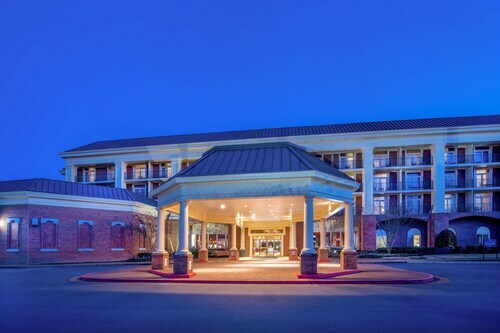 The hotel was well located within walking distance to many great bars and restaurants in Midtown Nashville. 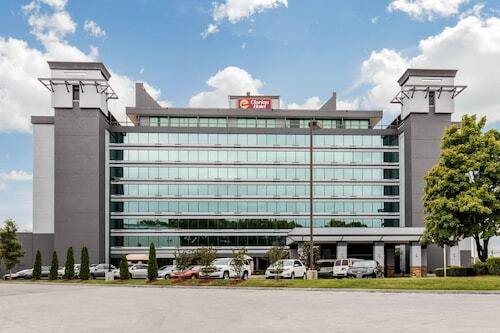 The staff were super friendly, the area was great because it was very close to downtown Nashville and very safe (plus, the hotel offers free shuttle bus service to and from downtown), the room was big and comfortable. Close to the airport and fairly easy to get to downtown Nashville and Opreyland. Much cheaper than staying downtown Nashville, and is only a 14 dollar uber from right downtown. Travelers love the Downtown Nashville neighborhood for its fantastic nightlife, sporting events, and great live music scene. Here you'll find plenty to visit, including Tennessee State Capitol, Nissan Stadium, and Country Music Hall of Fame and Museum. Downtown Nashville has 144 hotels and other accommodations that make it a great home base for venturing out into the greater Nashville area. Germantown Inn: 3.5-star bed & breakfast featuring free breakfast, free WiFi, and free parking. 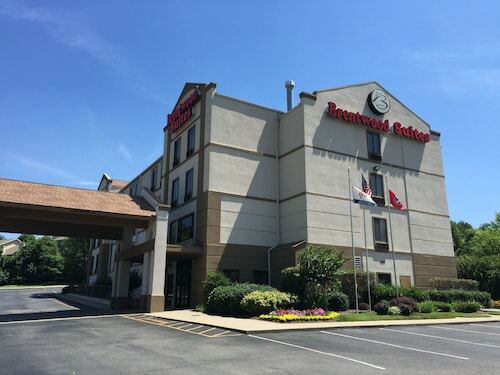 Our guests enjoy the B&B's comfortable beds and walkable location. 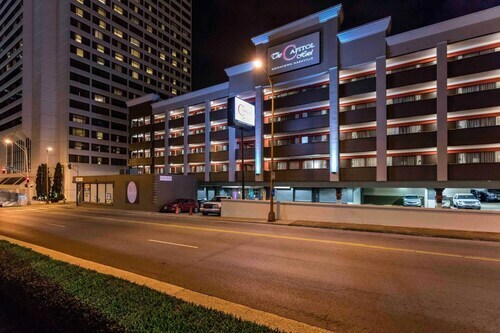 SoBro Guest House: 4-star guesthouse with free WiFi, free parking, and laundry facilities, 6-minute walk from Country Music Hall of Fame and Museum. Our guests rate this guesthouse highly for its comfortable beds and walkable location. Explore Downtown Nashville's landmarks like Legislative Plaza, Fort Nashborough, and Hatch Show Print and discover some of the local history. Tennessee State Capitol and Nissan Stadium are some other places worth a visit when you're in the the neighborhood. To venture out of town, take a train from Nashville Riverfront Station. Flights from Calgary Intl. to Pudong Intl. Flights from Calgary Intl. to Sacramento Intl. Flights from Calgary Intl. to Los Cabos Intl. Flights from Calgary Intl. to Tampa Intl. Flights from Calgary Intl. to Tan Son Nhat Intl. Flights from Calgary Intl. to Augusto C. Sandino Intl.